Memorial services are scheduled for 3 p.m. Monday, Feb. 1, at Hermosa Church of Christ for Suzanne Eileen Stone Puckett of Artesia. 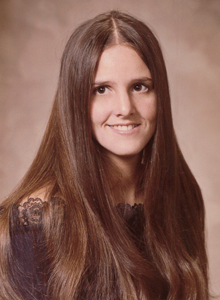 Puckett, 57, passed away Thursday, Jan. 28, 2016, at her home. David Lasater and Taylor Robles will officiate at the services. Cremation has taken place under the direction of Terpening & Son Mortuary. Suzanne was born Feb. 8, 1958, in Artesia, the daughter of Clinton and Geneva May (Smith) Stone. She was a lifelong Artesia resident. On July 3, 1976, she married Roy Puckett in Artesia. She was an office manager at TOMSCO, LLC, and a longtime sales representative for Home Interiors and Gifts. Suzanne was a member of Hermosa Church of Christ, an assistant 4-H leader, a Sunday School teacher, a certified developer trainer for Home Interiors, a guest speaker for Christian ladies’ retreats, and a loving mother and Nina to her grandchildren. Survivors include her husband, Roy Puckett, of Artesia; parents Cicero and Geneva Holland of Artesia; son Jacob Puckett and wife April of Roswell; daughter Kate Hewett and husband Matt of Artesia; brothers Roger Stone and wife Heidi of La Grange, Texas, and Tim Holland and wife Angie of Plano, Texas; sister Beverly Hord Baca of Artesia; and grandchildren Kylee Hewett, Zoee Hewett, Rainee Hewett and Logan Puckett. She was preceded in death by her father, Clinton Stone, and a brother, Stevie Stone.